News – Axe Safety Tax – tax shouldn’t cost lives! 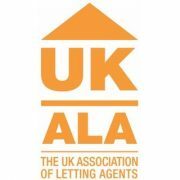 The UK Association of Letting Agents (UKALA) has pledged its support for the #AxeSafetyTax campaign. UKALA offers a single, unified voice for the private rented sector, working together with the National Landlords Association (NLA) to represent the interests of letting and management agents in the UK, whilst also safeguarding the interests of both landlords and tenants. Find out more about UKALA by visiting their website here. Join them by pledging your support and signing the petition here. 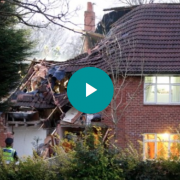 MPs, housing association bosses and celebrities today launched a campaign to make Britain’s homes safer. 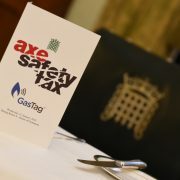 The Axe Safety Tax initiative to abolish VAT on all safety products and services that go into UK homes was unveiled at a House of Commons breakfast event. The Government is being urged to scrap the 20% tax on a range of products including fire alarms, carbon monoxide detectors, gas safety checks, fire doors and fire extinguishers. 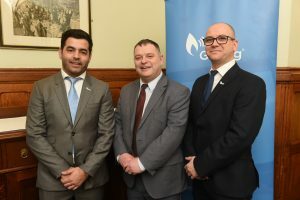 Mike Amesbury, MP for Weaver Vale & Member of the Communities and Local Government Select Committee, said it was vital landlords supported the “lifesaving” initiative. Other supporters of the Axe Safety Tax campaign include Emma Dent Coad, the MP for Kensington, whose constituency includes Grenfell Tower. Celebrities including former England footballers Jamie Carragher and Robbie Fowler, the musician Midge Ure and TV personality Paddy McGuinness have also put their names to the initiative. 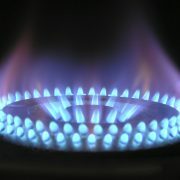 The gas safety technology company, Gas Tag, is behind the campaign. The Liverpool-based company’s CEO Paul Durose said: “Abolishing VAT on safety products would allow housing associations to accelerate the investment they are making in health and safety. Several leading housing associations are also backing the campaign. The VAT raised annually on safety products and inspections across the social housing sector is in excess of £200million. 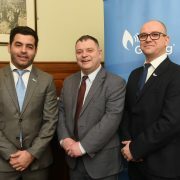 The launch was also attended by Mike Cunningham, Deputy Director, VAT & Excise, who invited campaigners to take part in further discussions over the coming weeks. An online petition to force a debate in Parliament has been launched as part of the Axe Safety Tax campaign – please sign it here. You can also view the official campaign video here. A teenager who suffered extensive burns in a gas explosion just three months ago has been able to leave hospital to see his favourite football club in action. Kyle Roe defied the odds to survive the blast in his Wiltshire flat last October, which left him with 87% burns. 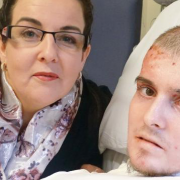 Family and friends launched a fundraising campaign for the Welsh Centre for Burns and Plastic Surgery at Morriston Hospital, to thank staff who have been caring for Kyle, and have made their first donation.